It's very sweet! I love making little bags like this...every one can be different! Love your special touches! That is so romantic and sweet--what a lovely little bag! Your bag turned out beautifully.TFS. 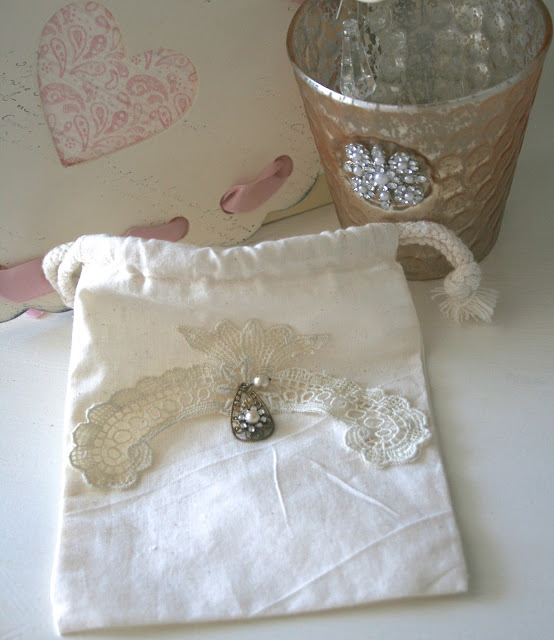 Sweet little pouch, love the jewel, I don't have a white post this week, however thought I would visit! Very pretty! I agree. SO appealing!